Initiative for International Model United Nations (IIMUN) is a recognized Model United Nations organization, operating under the Institute of Public Administration and Management-University of Sierra Leone (IPAM-USL). Our mission is to enhance diplomatic partnerships; creating an exhaustive platform where young people’s leadership skills would be sharpened through a navigation of the UN systems and it’s procedures. In order to prepare the next crop of United Nations Managers, IIMUN is organizing an international model United Nations conference. IIMUN Conference is a diplomacy event, where young leaders, University students, and High school students from around the world are invited to the Institute of Public Administration and Management, in Freetown, to engage in an intensive week long programme of practical sessions, policy exercises, institutional visits, workshops and discussions on how to create a positive change in the world. They will step into the shoes of international Diplomats from UN member states and act on their behalf through a lens of current event. The theme of 2017 conference is Global Citizenship. 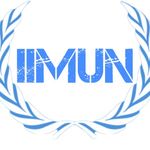 IIMUN2017 conference aims to foster global citizenship in our youth by educating them on current and relevant issues that the United Nations and international community is facing and to equip them with the skills to research, negotiate, and resolve those issues together. 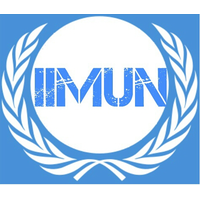 All topics discussed at IIMUN are current items being considered by the UN itself on its Agenda, and participants are taught to prepare with UN resources and documentation in online webinars prior to the conference. The conference is scheduled for the 1st to 4th November 2017.